How Do I Get My Receipt/Invoice? 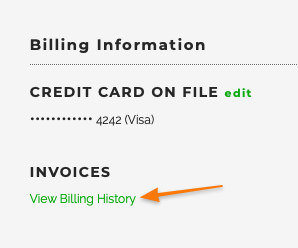 To see your most recent receipt (or invoice) log into http://jar.designpickle.com/settings and select View Billing History. This will pop down a history of your invoices/receipts that you can download, print or email.